David Millar, 36-year-old Scottish rider of Team Garmin-Sharp gave some quick tips about how to watch a cycling race live without putting in danger both the riders and themselves. He tweeted four tips in his twitter account, @millarmind. He said to the cycling fans that “I’ll be standing there with you soon”. 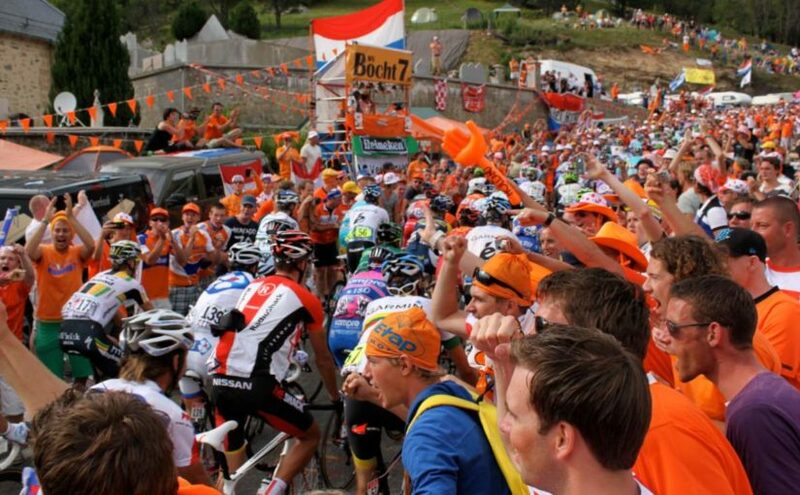 Millas has 4 tips of watching a race for the cycling fans. Do not stand on the road, it may seem unimaginable in the hours of waiting preceding the race, but when we do arrive we use ALL of it! Remove children/pets/chairs from road when stepping back to avoid us, they more often than not end up being forgotten in the panic. Bike riders appear further away through a camera lense/phone/ipad than they actually are, take a long shot, not a close-up! Cheer for me! We hear everything when passing and, most importantly, enjoy the spectacle, I’ll be standing there with you soon.